Public colleges are funded in large part by government funds. One perk of attending public college is lower tuition and fees, particularly for state or county residents, which translates into lower student debt for graduates. Public schools often have a higher admittance rate, making them more accessible. In addition, public colleges are generally larger in size, leading to a diverse student body and a large number of student clubs and social events. Finally, the lecture hall format of many public school classes is great for students who prefer to learn in large groups or are shy about speaking up in class. Almost 100 of Ohio’s public colleges offer nursing programs. They cover a broad spectrum of nursing education, targeting several different career paths. The state’s vast network of community and technical colleges offers numerous certificate programs in licensed practical nursing (LPN) and associate’s degree programs in registered nursing (RN). 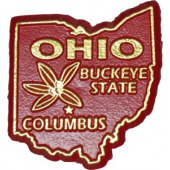 Ohio State University, the largest public university in the state, offers bachelor’s, master’s, and doctoral degree programs in registered nursing. So too does University of Cincinnati, which has an impressive array of master’s degree specializations including nursing administration, family practice nursing, nursing midwifery, pediatric nursing, and women's health nursing. Ohio employs almost a quarter of a million individuals in the nursing profession. The state’s most critical nursing roles are certified nursing assistant (CNA), licensed practical nurse, and registered nurse. Nursing salaries can vary significantly with level of education. For example, Ohio’s CNAs, who require only a brief certificate program, earn a median annual salary of $23,740. RNs, who must hold a degree or hospital diploma, earn over $60,000 per year on average. Nursing graduates of all stripes can seek employment with the state’s major healthcare providers, including large networks like the Department of Veterans Affairs, VITAS, and Genesis Healthcare. To help Ohio’s prospective nurses make an informed decision, we have compiled below a complete list of the state’s public nursing schools and programs.